How Far is Lakshaya Villas? 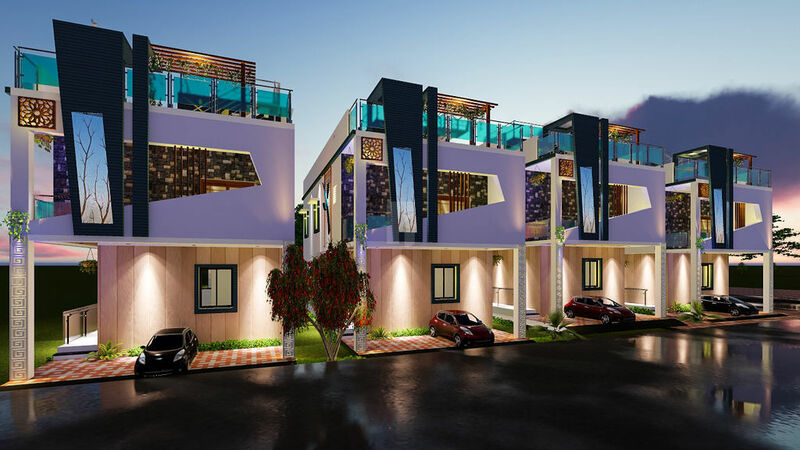 Lakshaya Villas is a residential project by Swastikk Homes located in Chennai. SWASTIKK - The Sanskrit translation of Swastik means pure and auspicious. It was also used by Hitler as a symbol of his rule and power.This symbol is belived to contain the soul of Buddha himself. Some believe that as Brahma can see in all the four directions as he as four heads this symbol also represents Brahma. The cyclic nature of this symbol also signifies the cycle of life and death. In the vedas it is said that the life of a man is divided in four parts each spanning twenty five years. These four parts are namely Brahmacharya, Grihstha, Vanarprastha and Sannyasa. The Swastik symbol might represent these four parts of human life. Even Native Americans considered it a symbol of the sun. Hindu’s believe so because just like the sun never fails to rise in the morning and set in the evening. The Swastik too never loses its form. It symbolises continuous progress and ability to never change. This is definitely true and also interesting to know how this symbol must have evolved. It indeed is a mark of continuous change and progress. The symbol is very geometric and is indeed well thought. Some also believe that the four arms of the Swastik signify the four vedas the very basis of Hindu religion. Swastikk Homes – a lone entrepreneurship firm was born in 2017. Since the dawn, our main motto has been "Service and Quality", trying to create a benchmark in the construction and real estate industry. We apply diligent construction techniques, excellent service throughout the journey from terra firma all the way to the building completion and handing over. Providing affordable, self-designed homes for all classes of people and enhancing your living experience is the vision and dream of the company. Muscled by group of flair and young engineers, marketing executives and designers, we bring your dream home into reality. Swastikk , inspired from Sanskrit origin of its name, meaning good luck and prosperity, we bring well-being to your ménage through 100% vastu acquiescent design. Combining vastusashtra and modern construction materials and techniques, we provide you contemporary homes with vintage traditions. This has always been the feather in our cap. The vision of Swastikk Home is to achieve the highest possible standards of the real estate industry while establishing our agency as the preferred real estate company within our market area. The mission of Swastikk Home is to be the most successful real estate firm in Tamilnadu. Swastikk Home Real Estate incorporates proven, professional state of-the-art techniques specializing in the marketing, listing and selling of new and resale luxury homes, residential communities, condominiums, home sites, undeveloped land and commercial and investment opportunities. Swastikk Home Real Estate maintains a full-time staff of well-trained real estate professionals who continually strive to provide top quality service for their individual clients and customers. Swastikk Home Real Estate is a creative, innovative and people-oriented organization providing individual opportunity, personal satisfaction and rewarding challenges to all members of the firm. is a Chennai based Real estate company, initiated with a strong belief in delivering 'Comfortable Living Spaces'. Our business philosophy lies in the commitment to create quality building through innovation and knowledge with customer satisfaction as our primary goal.